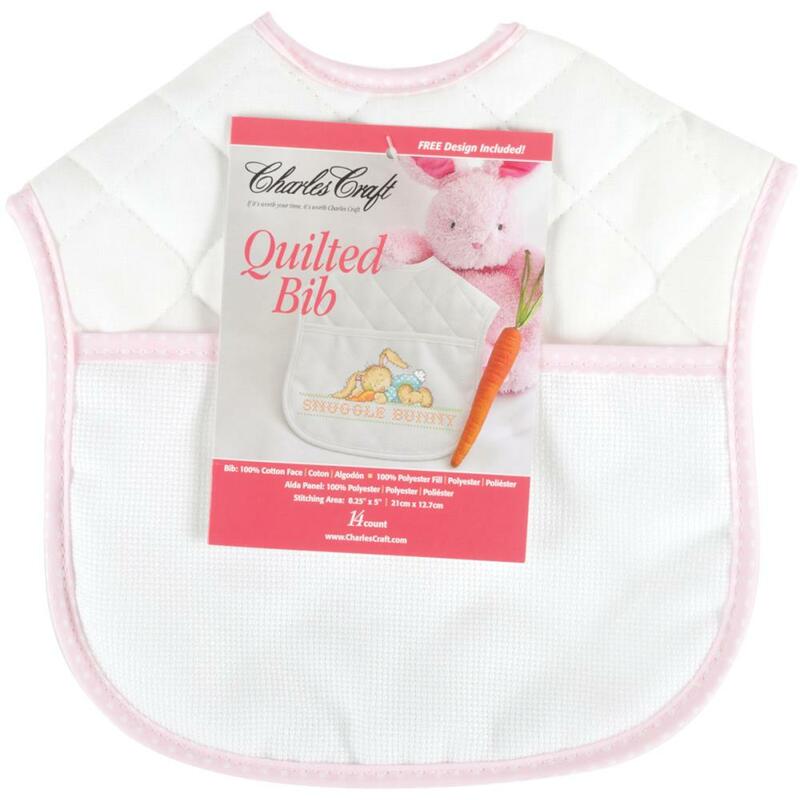 White with pink polka dot trim quilted bib. Stitching area is 14ct Aida and measures 8.25" x 5". Closes in back with velcro.